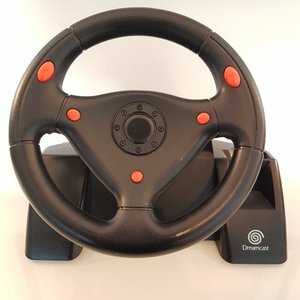 Thrustmaster er fremstur á sínu sviði og framleiða vandaðar leikjavörur fyrir PC, PlayStation og fleira. Á bakvið Hotas Warthog Flight Stick liggur margra ára vinna en nákvæmnin er með ótrúlegu móti. Upplifðu flugvélaleikina í nýrri vídd með þessum nákvæma og best útbúna stýripinna sem völ er á. 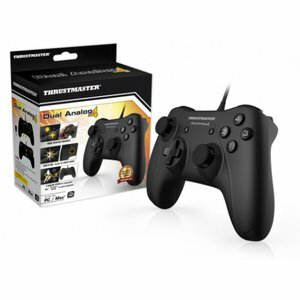 The HOTAS WARTHOG USB dual-throttle joystick is the result of an intense collaboration between Thrustmaster's development teams and members of the "simmer" community. 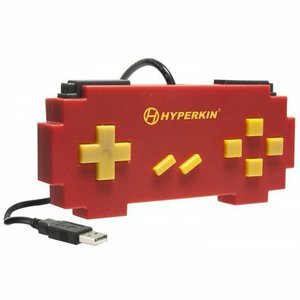 Exchanges and studies were carried out constantly throughout the product's development phase, in order to create a joystick which meets the most specific and precise requirements of the experts. 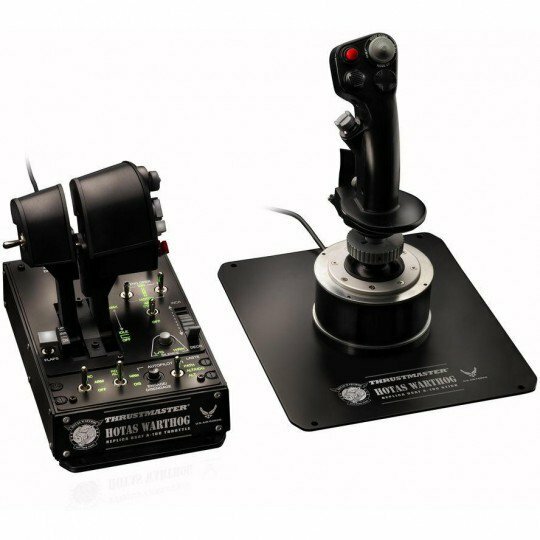 The result is the HOTAS WARTHOG: a replica set of the joystick, dual throttle system and dual throttle control panel of the U.S. Air Force A-10C attack aircraft. 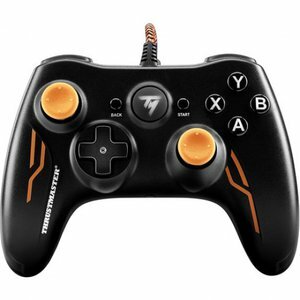 The joystick features 19 action buttons, along with a "Point Of View" hat. It provides extreme precision, thanks to the H.E.A.R.T HallEffect AccuRate Technology magnetic sensor system it employs: 16-bit precision (65536 x 65536 values), with no gimbals (cardan joints). 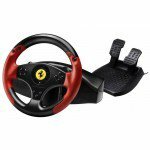 What's more, pressing on the joystick's buttons and triggers requires pressure identical to that required in an actual airplane – a true first in the world of joysticks. 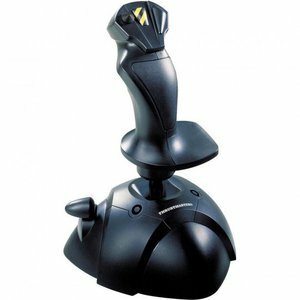 Particular attention has been paid to freedom of use for simmers, with the joystick's handle being detachable (so that it can also be used on the base of the HOTAS Cougar joystick, if the user wishes), and its base being detachable as well (allowing you to install the joystick in a cockpit). The throttle component has also been very carefully designed, with a dual throttle system allowing for independent control of 2 motors: a locking system lets the user either attach the 2 throttles together, or else keep them independent of one another. The magnetic sensor technology used for the throttles (14-bit resolution, with 16384 values on each throttle) provides unrivaled precision. Switching to the Idle and Afterburner detents is carried out via a Pull and Push system, for even greater realism. The Afterburner detent is disengageable, allowing users to perfectly adapt the throttle control to the type of airplane they are piloting. The throttles feature a total of 17 action buttons, a "Point Of View" hat and a "mouse hat / slew control". 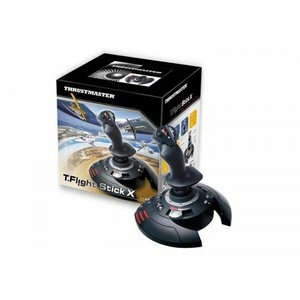 The HOTAS WARTHOG joystick's deadly weapon is known as T.A.R.G.E.T (Thrustmaster Advanced pRogramming Graphical EdiTor). 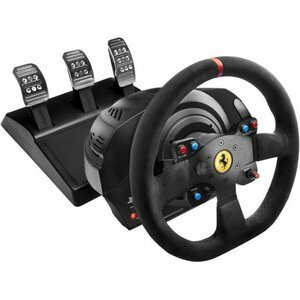 T.A.R.G.E.T is a software suite allowing users to test, configure and program Thrustmaster controllers, chief among them being the all-new HOTAS WARTHOG, but also the MFD Cougar, the HOTAS Cougar and the T.16000M. T.A.R.G.E.T lets users create programming configurations which are either more or less complex, depending on the user's taste, simply by using their mouse and the Drag and Drop principle. Three different programming levels are available: "Basic", to get started; "Advanced", to employ more advanced functions; and finally "Script", to harness the full power of the software. It should also be noted that in this software suite, the standard Script language has been totally rewritten to provide more flexibility, new functions and virtually unlimited possibilities. T.A.R.G.E.T is more than an interface: it's also a powerful software application capable of simulating virtual devices such as a keyboard, joystick, mouse, and so on, in order to simulate all of the actions required for these devices' use. These actions are measured on the axes and buttons of the physical controllers, but sent to software applications via a virtual controller.